for an IT project in 1 month? 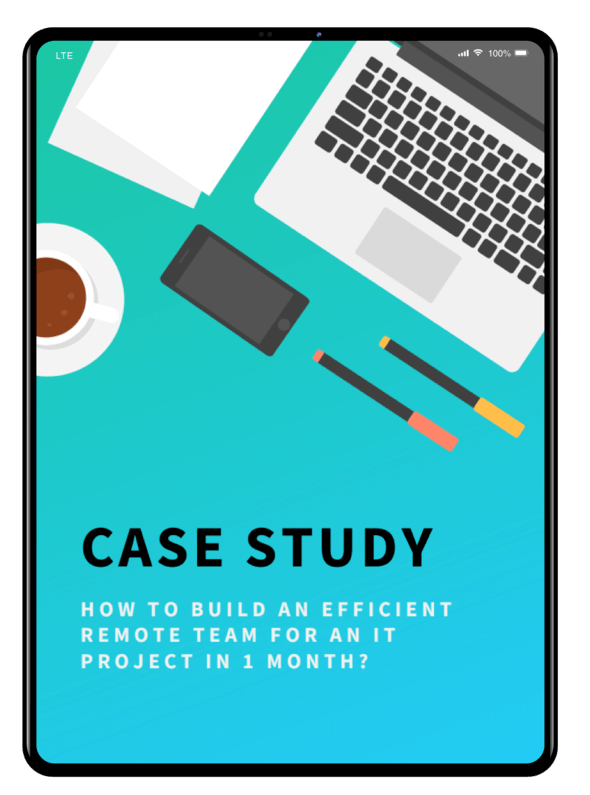 Do you struggle with finding a talented and reliable remote developer matched perfectly to your needs? Check out how we recruited 3 amazing employees: 2 React Native Developers and a Full Stack PHP Developer in less than a month! Hire your next developer superstar in less than 4 weeks. Do you want to know the secret to building a perfectly matched team of software developers to your company needs? This free ebook is based on our experience and delivers essential information on how the effective recruitment process should be carried out. Learn what is the key to saving time and money when it comes to searching for a new top dev for your company. Get the answer on how to overcome your recruitment struggles. Need help with your developer recruitment? I agree to receive an email with the ebook.